Here at the Center we are putting the finishing touches on an additional habitat area for our Addax group. This new enclosure allows them acres of pasture with many different grass types to graze on. They will also have access to the heated barn. Knowing the Addax they will be happiest with the shade trees to lounge under. As with so many African antelope species the future for the Addax in the wild is difficult at best. 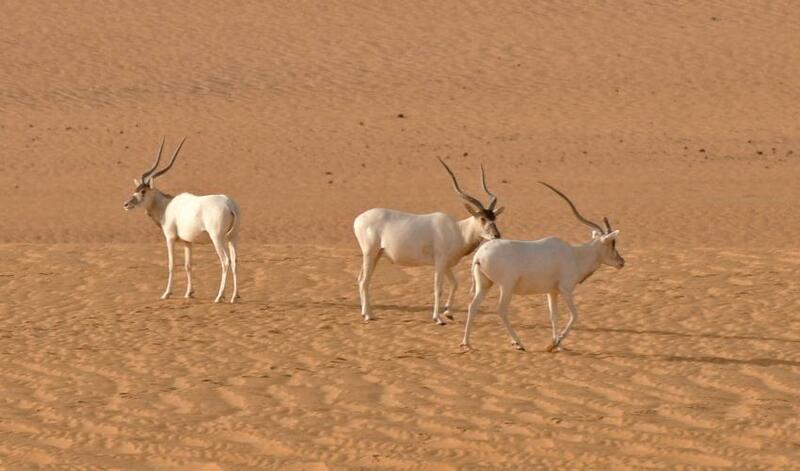 The numbers of Addax in their homeland is dwindling due to poaching and climate change in the Sahara area. A new threat has recently developed due the oil installations in Niger operated by the China National Petroleum Corporation (CNPC) and associated encroachment of desert-going trucks and bulldozers. Moreover, the assignment of military personnel to protect the oil industry means illegal hunting by soldiers has increased poaching levels considerably in its last remaining haven, and Africa’s largest protected area, the Termit & Tin-Toumma National Nature Reserve in eastern Niger. Conservation groups have estimated their numbers to be in the hundreds in the wild and falling fast. Fortunately there are over a thousand individuals held in zoos and ranches around the world and with a concerted effort from many participating conservation centers such as with the ongoing mission here at The Wildlife Conservation Center these rare and beautiful animals will be able to grow in numbers and not become extinct.